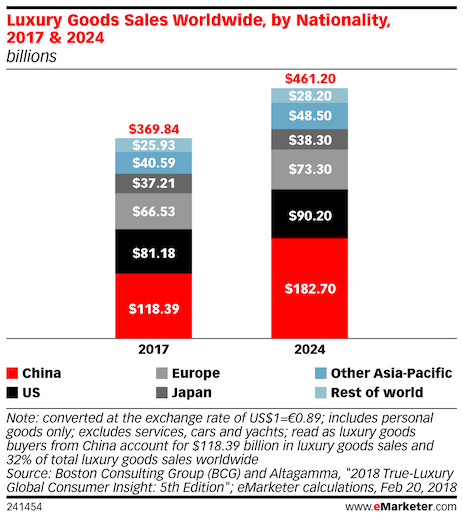 A similar report by McKinsey points to the same direction. 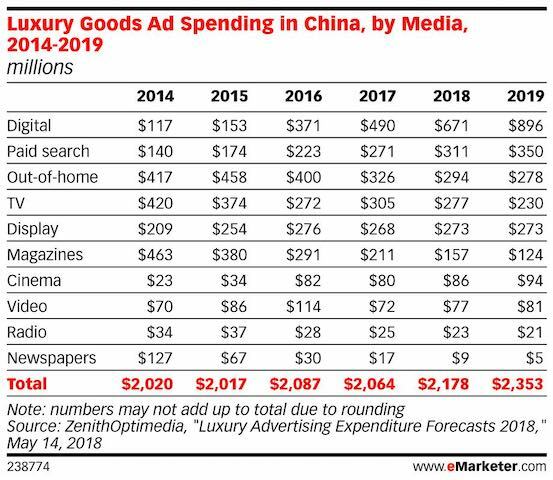 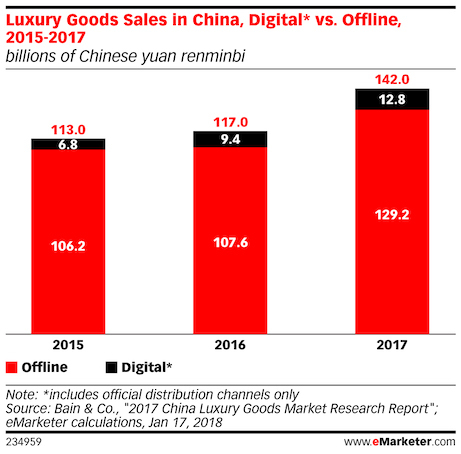 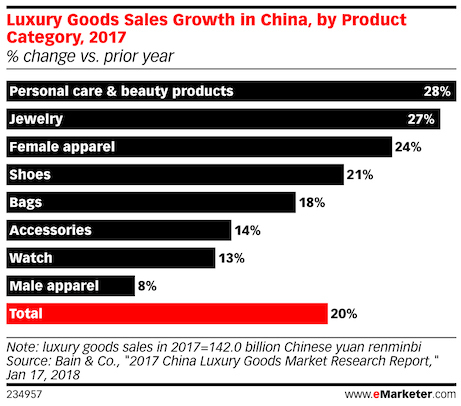 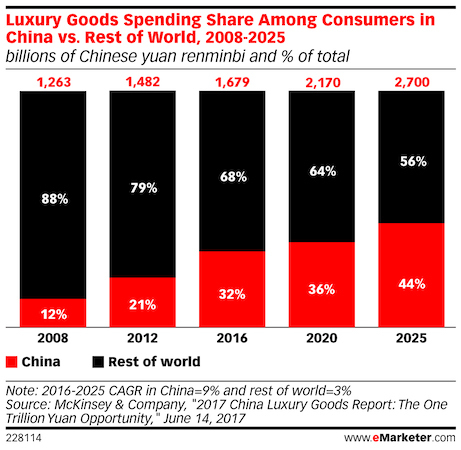 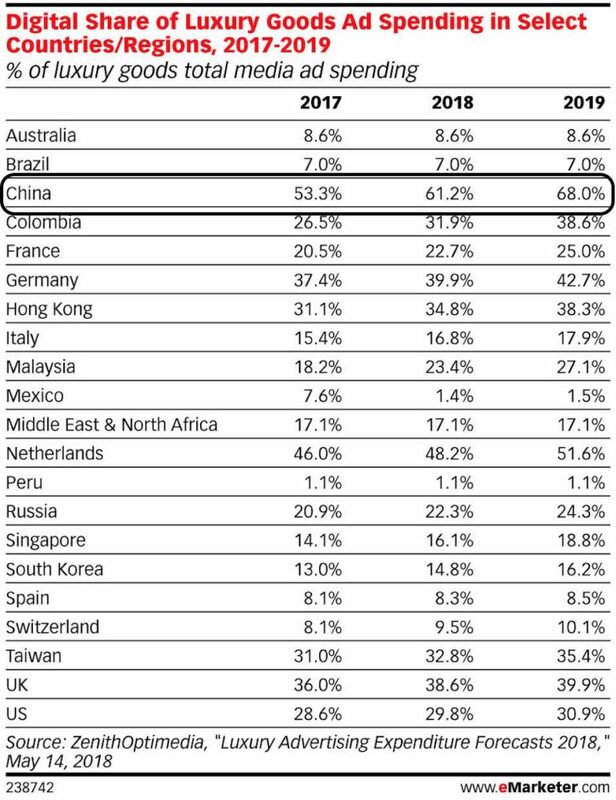 In 2020, China luxury good spending will be one third of the whole world. 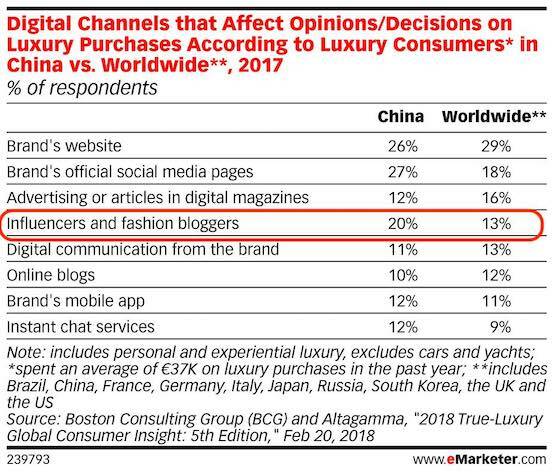 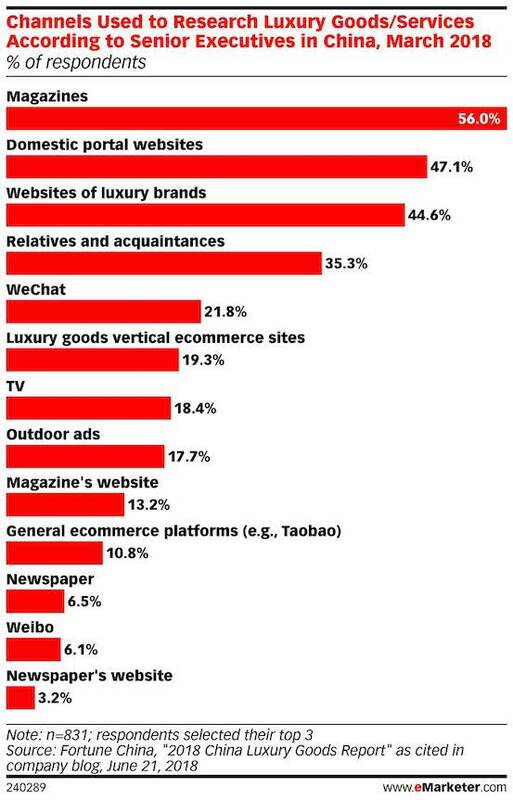 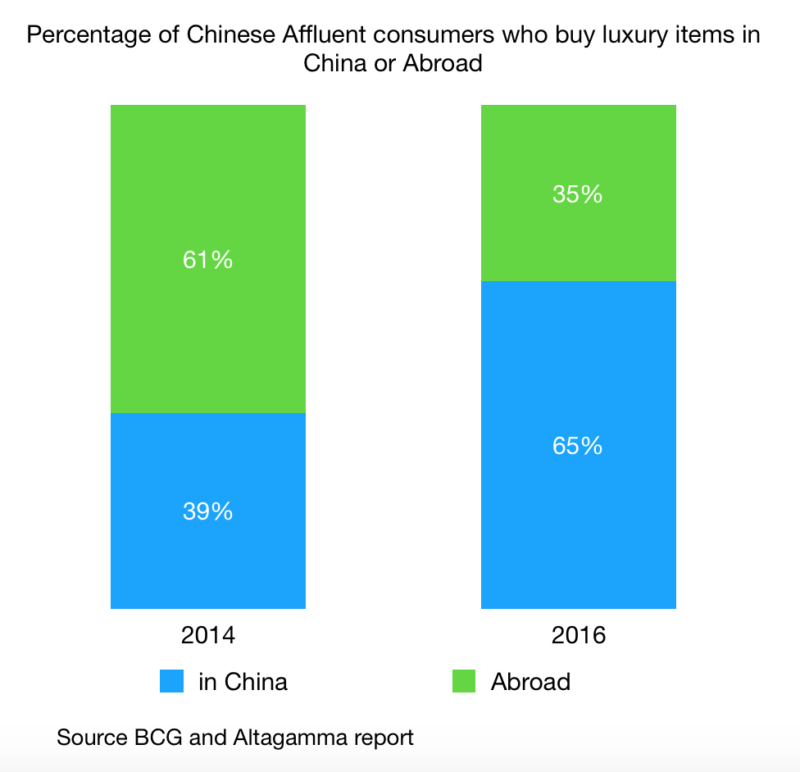 According to BCG and eMarketer, 80% of affluent consumers in China are under 45. 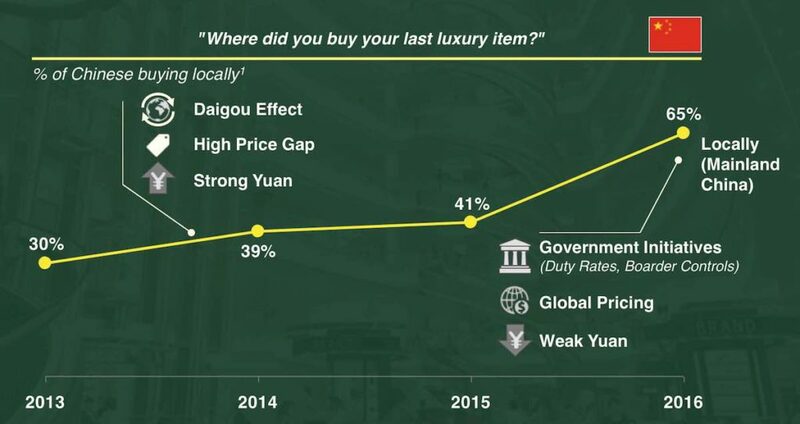 Daigou is an overseas surrogate shopper who buys goods overseas for mainland Chinese customers and send them back.